Lindsay Cain, owner of Femmegems design-your-own jewelry boutiques, makes high-fashion fantasies a reality with step-by-step instructions for creating brilliant earrings, bracelets, necklaces, and moreall of which would cost a fortune if bought in a store. On top of the 25 divinely easy projects, she's packed the pages with loads of advice on finding a unique personal style, repurposing forgotten hand-me-downs, and recreating jewelry box buried treasures. With a hip attitude and juicy insider tips, Lindsay has included looks for everyone. Prepsters, princesses, glamour girls, beach babes, brides, and more, will all be inspired to created unique, sophisticated pieces for themselves or to give to friends. 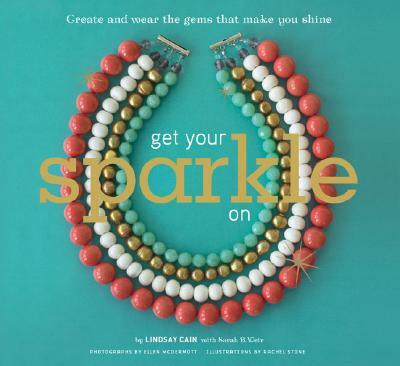 Lush, full-color photographs of finished baubles, bangles, and beads plus playful illustrations throughout make this a glittering gem of a book.